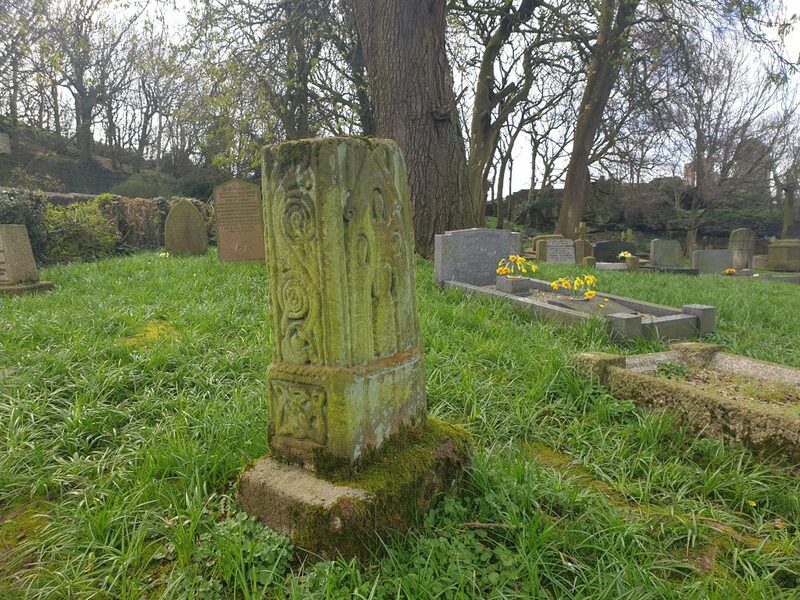 The British Isles are filled with holy places that should be places of pilgrimage for Coptic Orthodox Christians living and worshipping among them. The Church in the British Isles was Orthodox from the beginning, and the saints of these islands are our own saints, Orthodox saints. We must honour and venerate them, seek their intercession on our behalf, if we wish to prosper as the Church of Christ in the places sanctified by their own service and obedience to God over a thousand years. Our Coptic Orthodox Synaxarium commemorates the name of St Aristobulus, the first bishop among the British people. There are hundreds and thousands of Orthodox saints who followed him, and their holy remains and connections with so many places in the British Isles are a living reminder of the Orthodox heritage in which we find ourselves, and that in the beginning, and for a thousand years, the British Isles were also Orthodox in every way. My name is Patrick. I am a sinner, a simple country person, and the least of all believers. I am looked down upon by many. My father was Calpornius. He was a deacon; his father was Potitus, a priest, who lived at Bannavem Taburniae. His home was near there, and that is where I was taken prisoner. I was about sixteen at the time. We must remember that this was a youth of only 16 years, who grew into such an experience before he was 22 years old, being prepared by God for a life of service. After 6 years of slavery God called him in a dream to leave his master and head to the Irish coast, where he would find a ship that would carry him to freedom and safety. 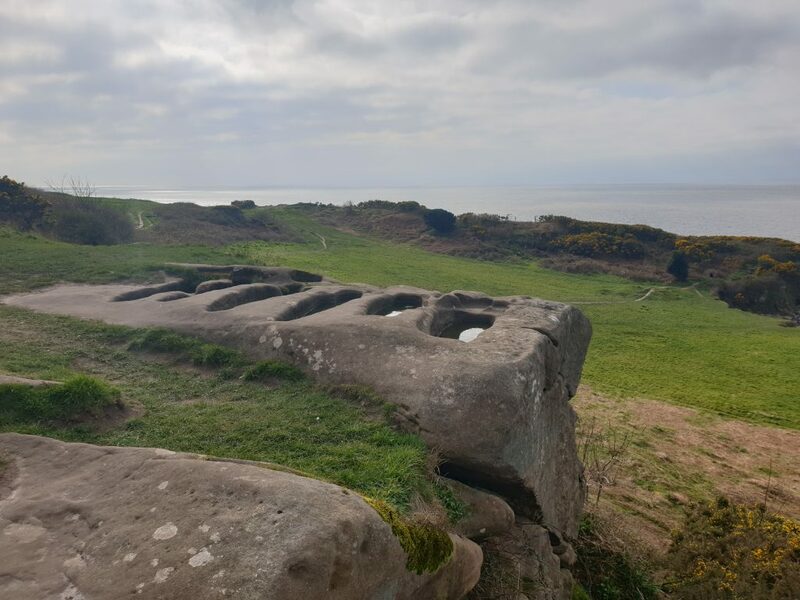 Three days after setting sail on the ship he discovered waiting at the Irish coast he found himself shipwrecked on the shores of England, here at Heysham. His life continues, and I will describe it elsewhere, but briefly, it is enough to say that under the guidance of God he was trained in the monastic life and became a bishop and returned to Ireland where he evangelised the pagan people and established Orthodox Christianity firmly as the faith of the people. 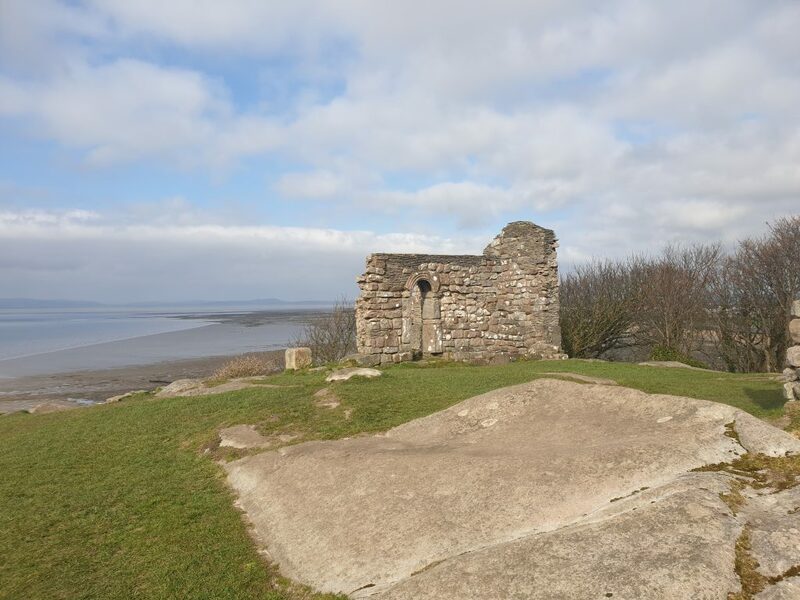 Here at Heysham, on a headland above a wide shore, there are the remains of both the ancient St Patrick’s Chapel, and the ancient Church of St Peter. 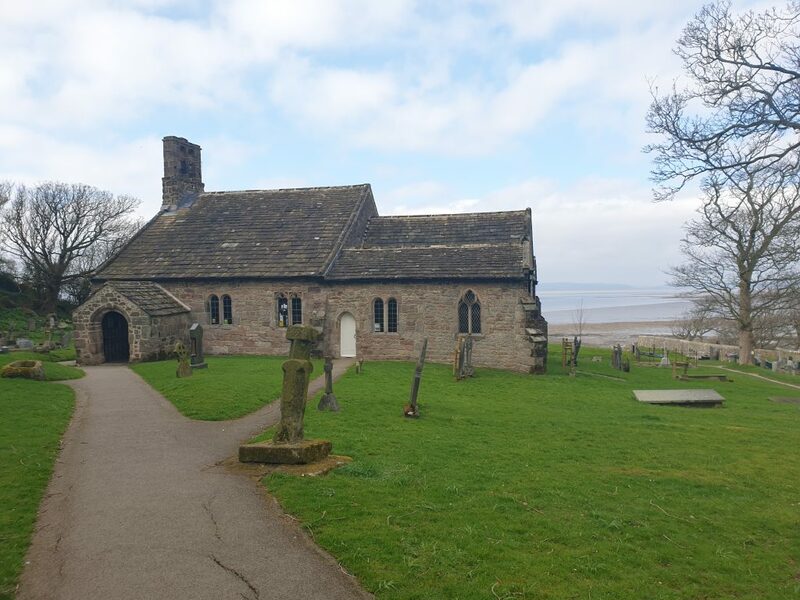 The Church of St Peter dates from the 7th century, and although it continued to be extended and developed over the centuries it still contains Anglo-Saxon elements from before 1000 AD. 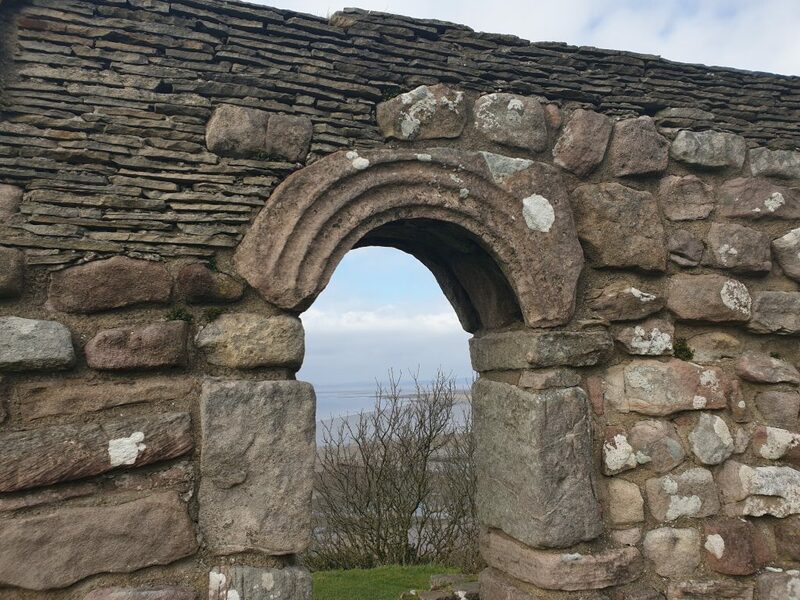 In the churchyard is the base of an Orthodox Anglo-Saxon stone cross, and an archway that belonged to the ancient church and which was reconstructed in the churchyard during building work in the 19th century. 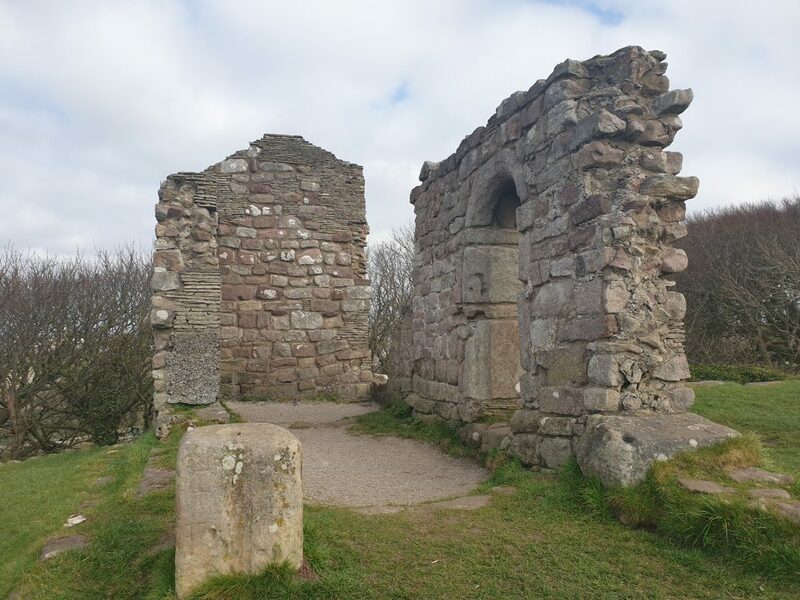 St Patrick’s Chapel, representing the place where St Patrick returned to England after his capture and enslavement, is now a ruin. It is small building which was increased in size during a second building phase. It served as the chapel for a cemetery in which up to 80 local Orthodox Christians were buried. 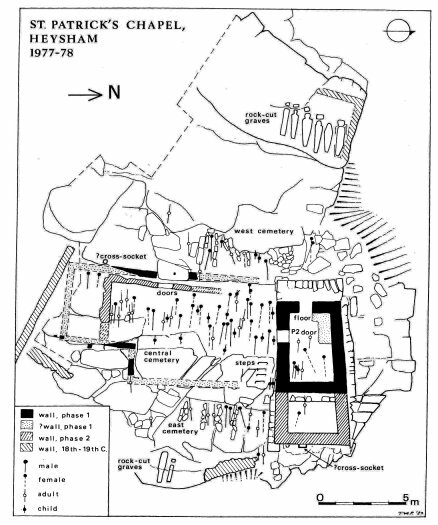 The first building was erected as early as the late 6th century. 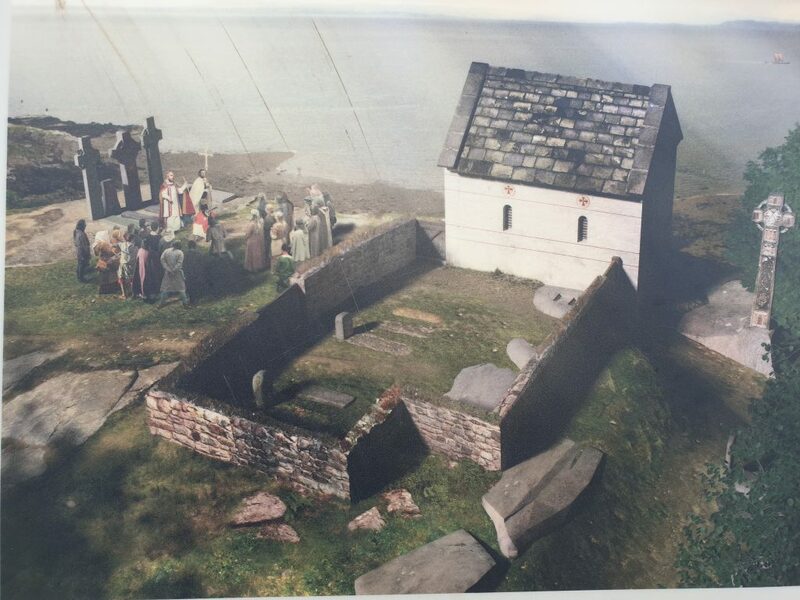 Of special interest are a series of graves cut into the rock just outside St Patrick’s chapel. 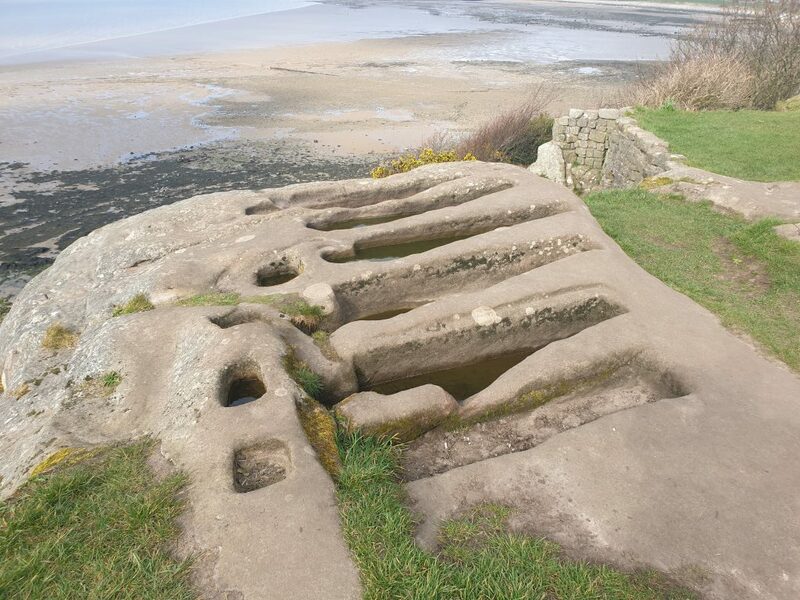 Associated with each one is a hole cut into the rock to support a cross or grave marker. These would have taken a great deal of effort to produce, and are in the most important location on the site. They are not quite large enough for an adult body, but might have been used for the bones of very significant people, even local saints. 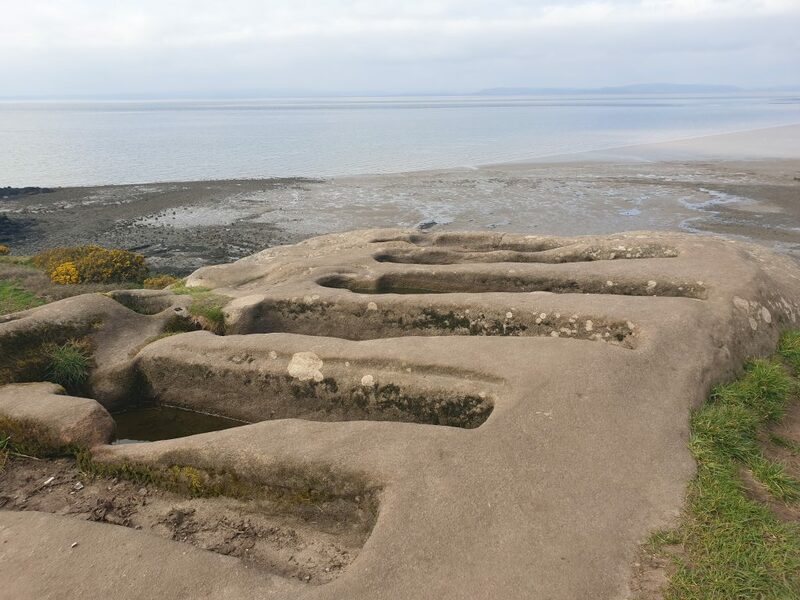 Standing on this headland, close to the sacred remains of St Patrick’s Chapel, we are among so many visible and invisible graves of Orthodox Christians who lived and worshipped here, from up to 1400 years ago. It is easy to imagine a ship driven ashore on the beach below, and St Patrick offering prayer on this very spot, returning to his homeland after an exile of 6 years. Years which had changed him and transformed him, preparing him for a life of service in the Gospel. 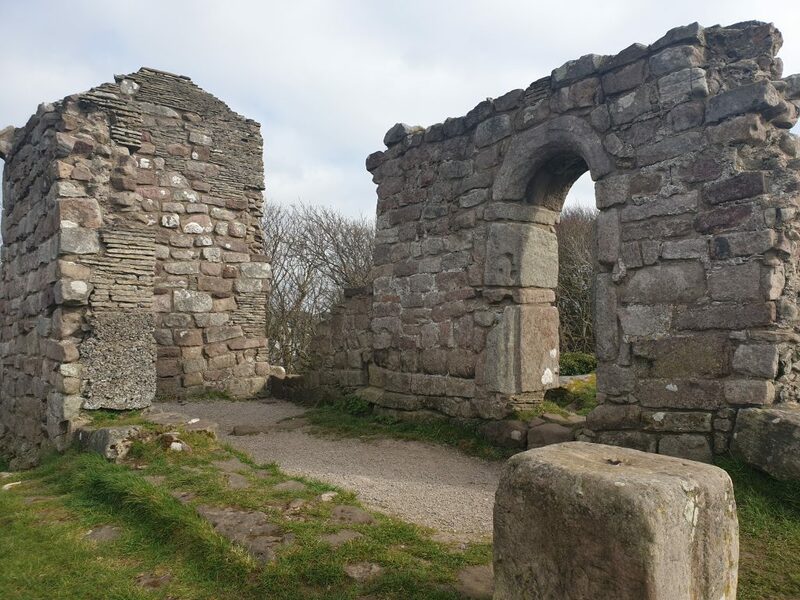 We should make every effort to visit the holy places associated with the Orthodox saints of the British Isles, seeking their holy intercessions, and giving them the honour and veneration which is due to them, especially when these sacred places are so easily accessible to us.